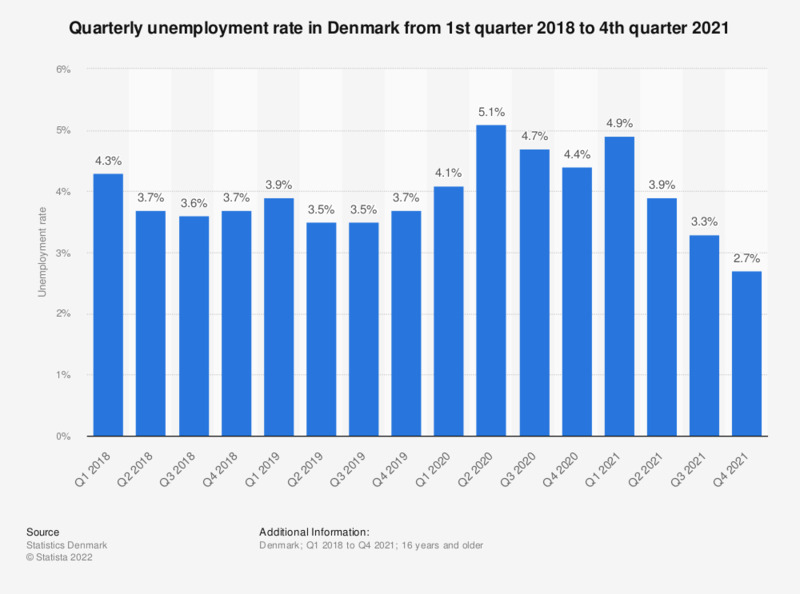 This statistic shows the quarterly rate of unemployment in Denmark from Q1 2016 to Q4 2017. The unemployment rate was the lowest in the third quarter of 2016 (3,9 percent). In the last quarter of 2017, it amounted to a rate of 4.2 percent.